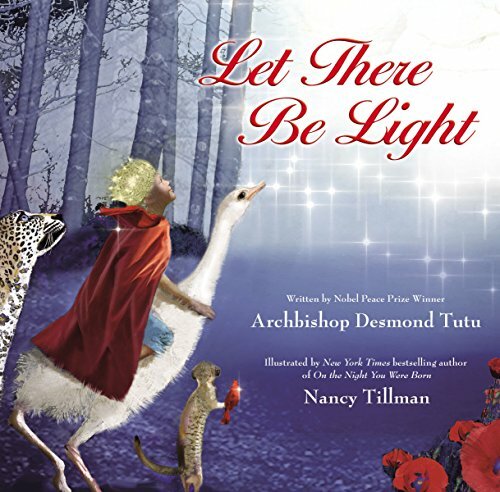 With the inclusion of Nancy Tillman as illustrator, the two tell of God’s creation in a manner sure to enchant children and adults alike. Light plays a prevalent theme in Tillman’s drawings; emphasized in color, shadow, and pinpoints of light. Realistic in nature, the illustrations nonetheless complement the wonder evoked in Tutu’s language. Let There Be Light captivated our children (3 and 2 years old) from first reading. They loved the beauty of the scenes, anticipating each new day with delight. Questions were asked concerning the pictures, exclamations heard when favorite animals came into view, and observations made about the depiction of man’s creation. Whether introducing or revisiting the creation story children of all ages are sure to recognize with joy the glory of God’s creation in Let There Be Light.